Laura Garrett, author of What Happens After "Happily Ever After?" and Creating Your Own Fairytale Life has written both books based on her professional and personal experiences with relationships and life skills. 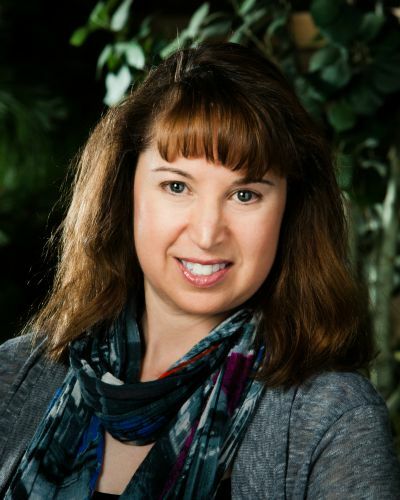 She is a licensed professional counselor who graduated with a master’s degree in Counseling Psychology from the University of Denver and a second master’s degree in Adult Education and Training from Colorado State University. She is currently in private practice with over 20 years’ experience in relationship, mental health, and addiction issues. Laura has worked with hundreds of individuals and couples who struggle with relationships, self-esteem and other life skills. She knows what it takes to acquire and master the tools needed for the purpose of having a happy and fulfilling life. Laura is eager to share this insightful knowledge with her readers. Visit her website at www.laurabridgeways.com. You can email her at lbridgeways45@yahoo.com. What Happens After "Happily Ever After"? As we grow up, we learn about fairytale romances where a prince and princess fall madly in love and live “happily ever after.” But what happens after the “happily ever after” when the romance fades and real life gets in the way? In What Happens After “Happily Ever After?” we meet a Fair Maiden who is at a crossroad in her marriage with her man. She sets out on a journey of self-exploration and a quest to unlock the secrets to a happy and fulfilling relationship. It is here she happens upon a Wise Fairy Guardian who offers a relationship skills seminar for all the land. With the help of the Wise Fairy Guardian, the Fair Maiden learns about the realities of being in a relationship, the work that it takes to maintain a healthy relationship and the skills that are needed to ensure its success. This book provides you with tools to help you build and sustain a healthy relationship with a significant other. The book is an easy, fun read, offering 6 important relationship skills that are essential to the success of your relationship, to include building a relationship with your self. Sample What Happens After "Happily Ever After"? Creating Your Own Fairytale Life is the prequel to What Happens After “Happily Ever After”? It is the book that teaches you how to have a relationship with yourself prior to being in a relationship with someone else. In this prequel, the Prince, under pressure from his parents to marry and rule the Kingdom, takes to the forest on a quest for self-discovery. He meets a helpful Wizard, who enlightens him about the seven most important skills needed to succeed in life and to overcome any obstacle to peace, success, and Happily Ever After. By using the 7 fundamental life management skills offered in this book you will learn to build your self-esteem, manage your stress and anger, learn to identify your feelings so you can communicate them and resolve conflicts more effectively, in addition to learning cognitive reframing skills. Once practiced and mastered, you will be empowered to trust yourself, have confidence in your decisions and embrace you very own fairytale life.